This month’s Comstock Mining Update begins with the Lyon County Commissioners meeting in Yerington on Thursday, March 6. There is every kind of mid-winter fun available in Nevada, from the skiing resorts at Lake Tahoe and the Sierra to casting for trout in the Colorado River at Laughlin, but the best, the very best is available one week out of the year in Winnemucca. Built in 1880, the structure at the center of the Lincoln Hotel was a Dry Goods and Clothing store originally, with the San Francisco Lodging House upstairs. Later on a bar went into the adjoining structure on the left side (a stone building, later veneered with yellow brick with glass brick installed in its windows). A jai alai fronton was in the structure on the right. 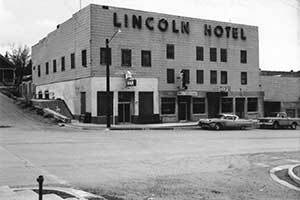 Later the center portion served as the local butcher shop and eventually all three of them were combined as the Lincoln Hotel, with more than 50 small rooms, acquired by Lee and Blanche Olinger in 1946. Lee died in 1966 and Blanche was murdered two years later during a botched robbery. New owners changed the name to the Alpine Lodge and christened the bar the Lucky Stiff. Several more new owners ensued, one of whom added the A-frame embellishment to the front of the building, but none of them did any maintenance worth mentioning on the cobbled-together structure. 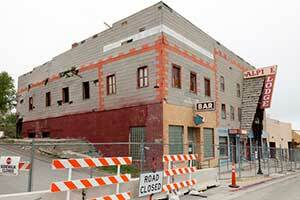 In 1996, neighborly disagreements escalated to the point that the building was condemned by the Fire Marshal. Occupants had only a couple of hours to get their belongings out, and much was left behind. Over the years since, a bulge on the upper floors had grown steadily larger, suggesting an increasingly imminent collapse into the street. Last year a local company stepped up, paid the taxes, took ownership of the building and began the arduous task of taking it down one piece at a time (we don’t implode old hotels here). The dangerous parts have now been removed, including that signature A-frame ornament looming over Highway 50, which the highway department was happy to see go. Deconstruction revealed old coins and bottles, lots of square nails, old tools and other ephemera of its heyday. The original rock building on the left will get a new roof this year and the adjacent taller structure will probably come all the way down. The Lincoln Hotel and the Alpine Lodge will be gone, but the Lucky Stiff Bar may reopen one day, especially given the recent closure of The Keyhole Bar. 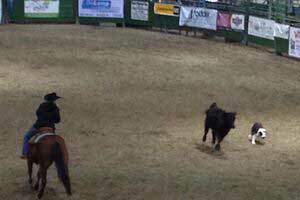 Yes, I mean the Ranch Hand Rodeo, but I am not talking about the events that jump into your head. There are three classes: Ranch Class is for striving beginners, dogs that have not previously won this class; Open Pro Class is for dogs that have won a Ranch Class competition; Brace Class is for two dogs working together. In all three Classes, the dogs have the task of herding three cows through and around a variety of barricades, pens and chutes, called obstacles, guided by instinct, training and the handler’s commands. It’s like watching ballet without music, or a tango with the sound turned off. It’s highly ritualized, like a minuet, but loose and improvizational like jazz. Scamper and pause! Race ahead, stop and turn on a dime! Snap and back away! Feint and lunge! Drop to their bellies, chins on the ground, gazes fixed, listening for the whistle, ready to race around and face the cows from the other side — it was mesmerizing. Talent, skill and desire on naked display — the pictures and videos can show you what it looks like, but I think you have to be there to feel it. The Cow Dog Trials are held on the Thursday preceding the rest of the Ranch Hand Rodeo, which is an exhibit of the 3 Rs that rodeo was built on: riding, roping and ‘restling, but we were gone by then. 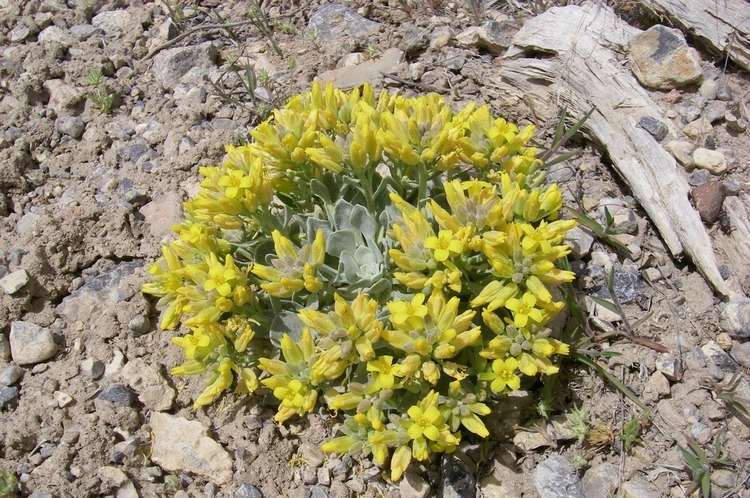 And if you do go, make a point of enjoying Winnemucca. This open, friendly town is thriving just now from a resurgence of mining, and is at its best. One obvious emblem of this is the Winners Inn. 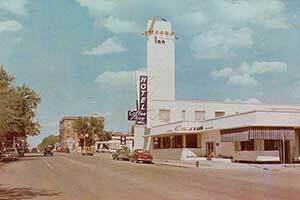 The Winners was built as the Sonoma Hotel, and has been a local landmark for generations now. Under previous owners the property had declined in recent years, but since late last year it has been rigorously upgraded at the cost of a couple of million dollars. The kitchens were gutted, rebuilt and furnished with all new equipment, the dining room was completely made over and named the Star Broiler, after a fondly-remembered restaurant in the ill-fated Star casino across the street. 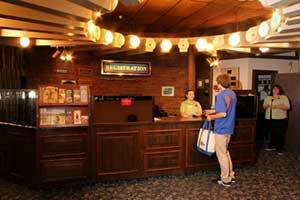 The original 120 rooms have been upgraded and refurnished and they are looking at plans to restore the lobby to its original height — a dropped ceiling and a raised floor were installed during the great remodel and name change of 1969. I had a super wonderful time here! Look at this video from my Facebook page — more next time! Tailwags! Post by Shorty the Wonder Dog. Overheard at The Griddle in Winnemucca: “We humans think we are smarter than dolphins, Jimmy, because we drive cars and have tall buildings, start wars, put people in prisons and all the rest of the things we do, but dolphins just swim in the water, eat fish, and play around. And they think they are smarter too, for exactly the same reasons. Brief Notes from Beyond the Mountains: Stan Paher of Reno, the noted Nevada historian, author and publisher and official Distinguished Nevadan, has announced a Sesquicentennial Book for Nevada’s 150th birthday. It will be published in September and distributed via his network of retail outlets around the state. Stan says some two dozen Nevada authors from around the state have committed to write on a variety of Nevada topics . . . Start your planning now: there will be four Nevada Day Parades this year, in Las Vegas, Elko and Virginia City on Friday October 31, and in Carson City on Saturday November first. Belvada Building, Tonopah. Later this month, the Town Council will hear Fred and Nancy Cline’s proposal to renovate the Belvada Building, kitty-corner across the street from the Mizpah Hotel. 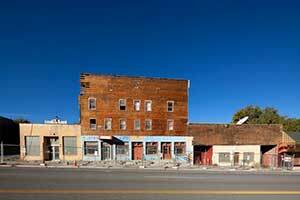 This five story historic structure has lately become a popular hangout for pigeons, but if all goes well, it will become yet another jewel in downtown Tonopah. &p=42&c=2&clh=0e85c5bd4147d49d2947128ce77ee354&epomUUID=0ea638a0-9c75-11e6-a8a3-3c4a92e1c078&u=http%3A%2F%2Ftravelnevada.com%2F%3Ft%3DNevadaTravel1508%26utm_source%3DNevadaTravel.net%26utm_campaign%3DNevadaTravel1508%26utm_medium%3DInternet” target=”_blank”> Theoretically every entrant in the first three parades will have time to pack up, drive all night, and make it to Carson City the next morning to join in the Grand Promenade down Carson Street . . . Matt Brown has left Nevada Magazine to work in the City of Reno’s Office of Communication and Community Engagement . He is now Communications Program Manager within the City Manager’s office and will “develop and disseminate key messages to inform local citizens and help shape the perception of the City of Reno locally, regionally and beyond”. He did a good job at Nevada Magazine, worked like a horse, covered a lot of ground and won’t be easy to replace . . .
Matthew and Gunnar Nelson are returning to the South Point Hotel Casino in Las Vegas with their very personal “Ricky Nelson Remembered” show about their father’s life, career and music November 22-24. Ricky Nelson’s twin sons were pawns in their parents’ divorce when they were 18; they’re 46 now [read Jackie Brett’s story here] . . . Maybe they should provide the music for the British twins Andrew and Kevin Atherton, Cirque du Soleil aerialists with the new-look “Zarkana” at Aria, featuring ten “extraordinary, heart-stopping acrobatic acts” in the words of Robin Leach . . . The Nevada Arts Council is updating its strategic plan, “Values and Vision,” which guides the actions of the agency, and hopes you will devote a few minutes to their survey on the future of the arts in Nevada and the proper role the agency should play . . . He looks positively joyful at the prospect of reuniting with his body at his new home. And is it my imagination, or does he look a lot like Donald Duck? 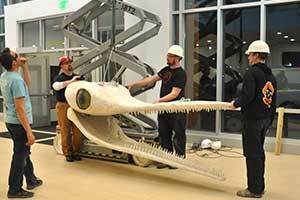 The giant Ichthyosaur has a new abode, the Nevada Discovery Museum in Reno. Jerry Snyder and crew built the 50-foot-long plywood likeness of our beloved state fossil for Burning Man 2013. Last week they suspended the critter in the museum’s lobby, where it’ll reside indefinitely. Meet the icky at a public reception at the museum, 490 S. Center Street, on April 2, 6-8 p.m.
Here’s a terrific new website for The Nevada Northern Railway in Ely. You can book tickets and other purchases online now, and in addition to the convenience, you save the fee charged by middle-men. The Gift Shop isn’t online yet but it’s coming, and the webcam is already there . 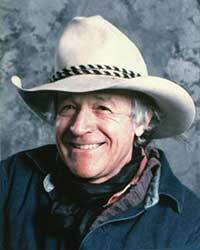 . .
Ramblin’ Jack Elliott will appear at Piper’s Opera House in Virginia City March 21 as a fundraiser for Community Chest, the Fifth Annual “Night to Imagine”. If you come for dinner at the Core at the Cider Factory, the Red Dog Saloon, Comstock Corner Cafe, or Cafe del Rio and mention Community Chest or Ramblin’ Jack Elliott, these event sponsors will donate a portion of the cost of your meal to the fundraiser. 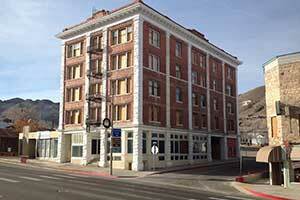 Also, Silverland Inn and Suites is offering discounted rooms if you want to stay in Virginia City. And now we learn that Ramblin’ Jack will stay over for a second show the next night at the Red Dog Saloon . . .
CMI CEO Corrado De Gasperis was a guest on the Sam Shad tv program “Nevada Newsmakers” on February 17. I have annotated the transcript of the event to illuminate his mastery of language as he knocks softball after softball out of the park without exactly telling the unvarnished truth, the whole truth and nothing but the truth. the Lyon County Commissioners meeting in Yerington on March 6 our point of interest was Item #20 on the agenda, submission of the Planning Commission’s Staff Report, requested by the Commissioners after they unaccountably acquiesced to a request from Comstock Mining Inc for a Master Plan Amendment and a Zoning change. 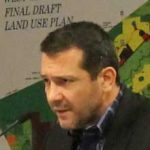 This sudden reversal of precedent and over-ruling of the Planning Commission and Town Board without explanation, plus the appearance of bad faith prompted the Comstock Residents Association to file a Complaint in District Court asking that the decision of January 2 be reversed. On March 6 the Lyon County Commissioners received the requested Planning Commission report and moved on to the next agenda item without discussion or comment. Rumors and local gossip have it that CMI’s mine manager Dave Thomas has been fired, and so has somebody in the accounting department who complained about all the freeloaders being comped at the Gold Hill Hotel. If those are false rumors and not fact, I hope CMI will refute them. 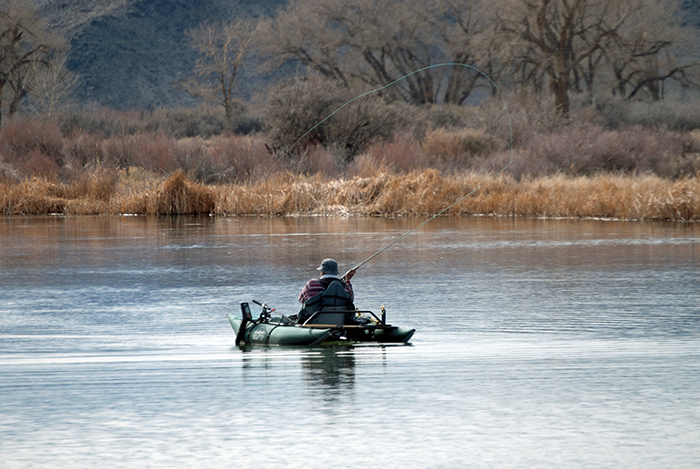 This is an unknown fisherman casting a line at North Pond in the Mason Valley Wildlife Management Area near Yerington, Nevada, on March 9, 2014. My family was checking out the area for a new fishing spot and possibly some spring camping. The view of the mountains, water and desert were great but this moment of casting a line is what made the day.